Small business offerors weighing the pros and cons of mounting a protest understandably focus on the potential costs of such an effort – and often decide to forgo the legal bills and redirect their focus to the next contract opportunity. The recent cost reimbursement decision in 6K Systems, Inc. – Costs, B-408124.6 (December 16, 2014) provides an important reminder that small businesses that prevail in their protests may have the opportunity to recover all or a substantial portion of their attorneys’ actual hourly rates. After the Government Accountability Office (GAO) sustained 6K Systems’ protest of an Office of Personnel Management (OPM) award and recommended that protest costs be reimbursed, the company and agency were unable to agree on an amount. So 6K Systems filed its cost claim seeking $27,112.50 for 120.5 hours of attorney time invoiced at $225 per hour. In response, while it challenged the request, OPM failed to provide any substantive support for its position that that protester’s attorney was not entitled to the entire amount claimed, even after GAO asked OPM to better articulate its reasoning. In general, GAO examines the reasonableness of claimed attorney hours but usually accepts the number claimed “unless the agency identifies specific hours as excessive and articulates a reasoned analysis as to why payment for those hours should be disallowed”. In this case, without meaningful input from OPM, GAO’s independently determined that only 5 of the claimed hours were not reimbursable (because those hours involved activities related to the debriefing process rather than the protest). With respect to the rate of reimbursement for protest-related time, OPM merely argued that “in accordance with FASA and the FAR, OPM calculates the hourly attorney fee at $150.” This is true as far as it goes. 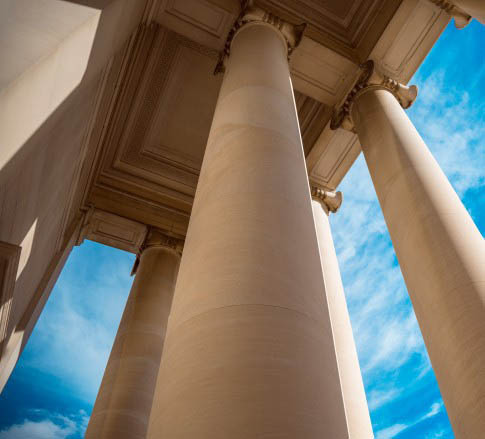 The Federal Acquisition Streamlining Act amended the Competition in Contracting Act’s provisions concerning reimbursement of protest costs to impose a cap of $150 per hour on recovery of legal fees by large businesses. However, as both 6K Systems and the GAO pointed out, small businesses are specifically excluded from this limitation. OPM did not dispute that 6K Systems’ small business status. It simply argued that 6K’s legal fees should be “calculate[d] [at] the hourly attorney fee at $150,” without providing any basis for this position. OPM did not even contend that the claimed hourly rate of $225 was unreasonable, either within the Washington, D.C. metropolitan area or in the context of government contracts litigation. Noting that it has previously found rates higher than $225 per hour to be reasonable for government contracts litigation in the Washington, D.C. area, GAO saw no merit in OPM’s position that the hourly fee should be $150, and awarded the protester its attorney’s actual hourly rate for all of the claimed hours that clearly related to the protest. The legal reality reflected in this case is no panacea. Assessing the likely outcome of a given protest remains a highly fact-specific and somewhat subjective undertaking and weighing the costs and benefits of pursuing a protest can be more of an art than a science. Still, small businesses can take some solace in the fact that a successful protest may not cost as much as they think.